Happy Friday! For many people this is a three-day weekend, and the kids and I are no exception. The best part is that we don't even have plans! Henry doesn't have a soccer game because of the Memorial Day holiday and I didn't make other plans to do anything. Hopefully the weather cooperates and we can enjoy some time outside and get some work done in and around the house as well. 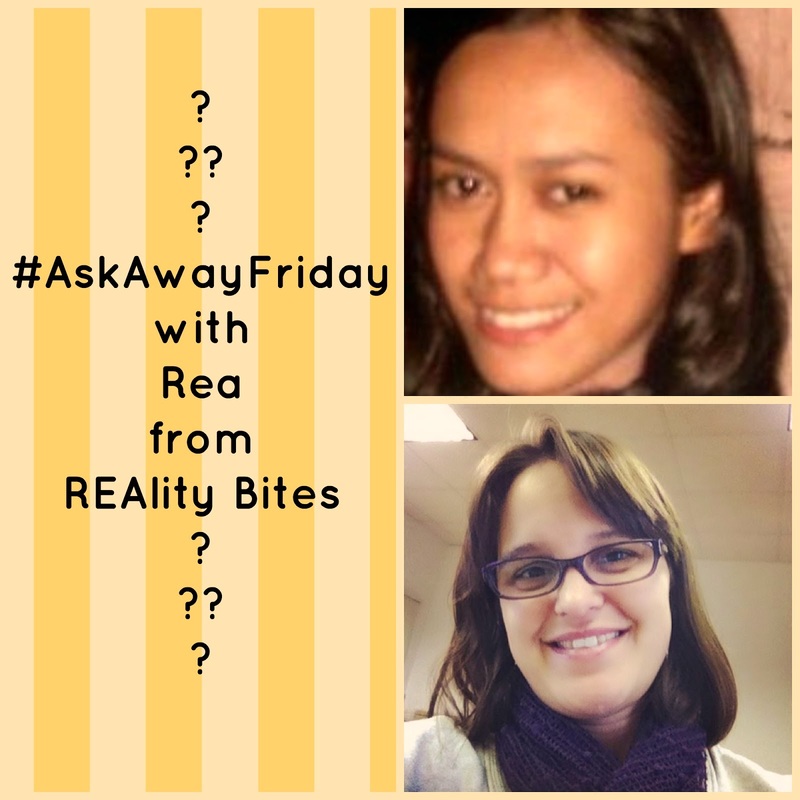 This week for #AskAwayFriday, I am pairing up with Rea from REAlity Bites. Rea is a 20-something working mom in the Philippines. She has been married for about three years and has an adorable little boy naked Reiko. 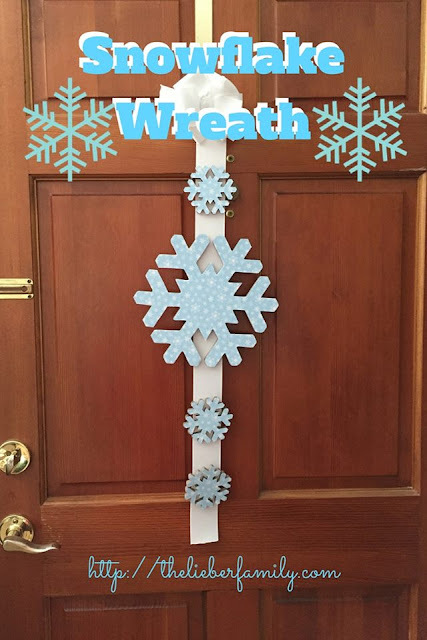 I have enjoyed getting to know her through our swap and I think you'll like her blog too, so don't forget to go check it out! 1. I've read your post about ten things that make you cry. I usually cry when I'm so hungry and I think that's just funny! Which one on your list is the funniest or most ridiculous thing that makes you cry? And why? I'm going to go with the most ridiculous thing that makes me cry and that's: Getting angry. I hate that I cry when I get mad. I feel like I can't defend my point or argue my side anymore because I'm too busy wiping away tears or snot. And then I get more mad because I'm crying and the cycle continues! 2. If you could be anywhere doing anything right now, where would you be and what would you be doing? Right now? I'd be sitting on my couch, curled under a blanket, reading a book. Instead I'm at work dealing with credit card charges and budgets and so many numbers my head hurts!! 3. I started my blog as a personal journal around 2009. You've been blogging since 2007, what do you think has changed most about "blogging" in general since you started? I think blogging seems much more like a business now than it used to. That might be because I've gotten closer to the business aspect of it. I know there are lots of blogs out there written solely for fun, but a majority of the people I interact with are trying to make money off it, even if it's just to pay hosting fees. I should also say I don't think there's anything wrong with that. If you can write and engage people and make a little (or a lot) of money from it, why wouldn't you!?! 4. I've read from your posts that you love your job. I love my job too but it gets into me sometimes that I'm thinking of quitting. What do you think are some signs that someone has to quit his or her job? I really do love my job. The people I work with are great. The tasks I have are varied and challenging. The schedule is great and very flexible, so it allows me to be a mom when I need to be for field trips, school programs, or sick kids. To be honest, I don't really have a choice to work or not, so I am extremely thankful to have such a great job. I think there are some noticeable signs that someone might want to think about quitting their job. I know it isn't always possible to have a job that you truly enjoy going to, but if you are miserable every single day, it might be time to think about leaving. If you work somewhere where you are not valued and respected, you might consider quitting. If you feel burnt out and unable to perform your job satisfactorily, it's probably a good time to start looking elsewhere. 5. We know how parents can be so protective of their kids as they grow up and experience the world. Since you have a ten-year old girl, what are you most protective of? Or are there any things that you're scared of as she grows up? Frances is a sweet girl and very trusting. She is very naive. I worry that she's going to get her heart hurt by someone who takes advantage of her giving and caring nature. I remember once when she was about four, we took a preschool field trip to an arcade. At the arcade the owners gave all the kids four quarters to try out the video games. Most of the kids were not very good at them, but a few knew what they were doing. An older kid came up to Frances and told her that is she would give her her quartes, she would try and win the game for her. She totally fell for it and handed over her quarters to allow the girl four extra chances. I just hoope that as she gets older she makes good choices and sticks up for herself when she needs to. 6. Aside from anyone in your family, who is the most interesting person you've ever met? I think I've met lots of interesting people. Living in a college town and working on campus, I have had the opportunity to come into contact with lots of different people. 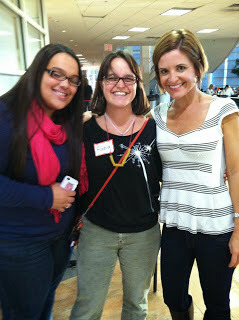 I met Glennon Melton from Momastery once when she came to JMU. I think she's a pretty interesting person because of all the things that have happened in her life and how she uses them to become stronger instead of letting them get her down. 7. What are your three most favorite things to do? Easy (and boring)! In no particular order, I greatly enjoy reading, surfing the internet, and sleeping! 8. Which actress plays in the lifetime movie about your life? Somebody asked me this before and I couldn't think of an answer. Afterwards, I asked Ken. He is the movie buff in our house and he knows the names of lots of different actors and actresses. He had some good answers, but I'm pretty sure he was just trying to compliment me by naming hot actresses like Natalie Portman, Reese Witherspoon, and Mandy Moore. I asked my friend Deserae and she suggested Julia Roberts. I like her. She's been in some good movies that I liked. 9. You've been married for 12 years! In all those years, what was the worst advice you've ever heard about love and marriage? Does not necessarily have to be a direct advice to you. I think this has probably been said to me a few times, but it's a pretty general piece of advice that I disagree with. "Don't go to bed angry" just seems silly to me. There are plenty of times where one or the othe of us has needed time to cool off and get some perspective. I get really cranky when I'm tired and that just doesn't seem conducive to reaching an agreement. I also don't think it's a good idea to solve an issue for the sole sake of solving the issue. If I were tired enough, I'd agree to just about anything just to go to sleep. LOL!! 10. For you, does attachment always equate to love? It can be attachment to people, things, and others. I think attachment signals desire, but that's not the same as love. I think that you are likely attached to everything that you love, but you are not necessarily in love with everything you are attached to. And that's it for #AskAwayFriday this week. Don't forget to stop by Rea's blog and see how she answered the questions I asked her. If you're looking for a swap buddy, my calendar is pretty free, so let me know. And then tell me in the comments who should play me in the Lifetime movie about my life! Hurry, the casting director could be calling for my suggestion any day now!